Are you an employee of Ebola Deeply? 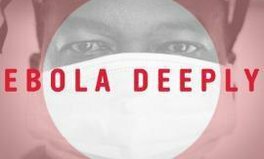 Ebola Deeply is an independent digital media project launched by a team of journalists and technologists, working to improve the state of information around the Ebola crisis. Their goal is to build a better user experience of the story by adding context to content, integrating expertise in science, health, and public policy with a range of voices on the ground. 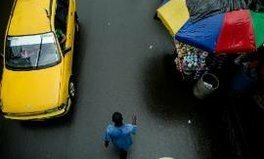 Ebola Deeply's team of local reporters are dedicated to keeping you informed about what's happening on the ground, highlighting the fact that the Ebola outbreak and recovery are far from over. Local leaders, international organizations, and citizens of Sierra Leone, Guinea, and Liberia are working hard to end Ebola and build their communities back stronger. Support them by staying informed and acting to support recovery!